BombSquad is fun and we all know it. And when you add multiple players to the game, be it your friend or a stranger online. The excitement level jumps off the charts. Sweaty hands, increased heart rate and you are all set to punch, blow and throw them off a cliff. How do I host and play BombSquad? What do I need to do to set multiplayer online and offline game? How to use the BombSquad Remote app? There must be a lot of questions running in your mind. Don’t worry in this tutorial you will know all about BombSquad’s Multiplayer connection management, be it setting the remote controller or playing the game on Android TV or a Mac. We will cover all so that you can enjoy the game. If you would have gone through the “Gather” Section of the app, you would have known that it lets you play the game in a variety of ways. The same undermentioned modes will be available on the iOS version of BombSquad once it is released. We will explain you each of these methods. 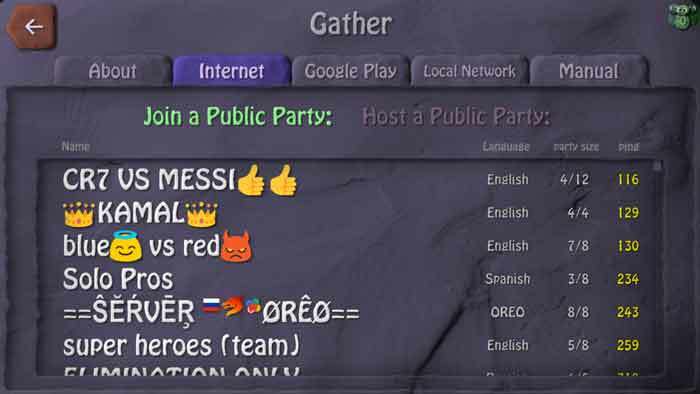 Internet – You can join a public party where you will find players from around the globe or you can host a party of your own. friends or accept invitations from them. Local Network – You don’t need an internet connection for this method. 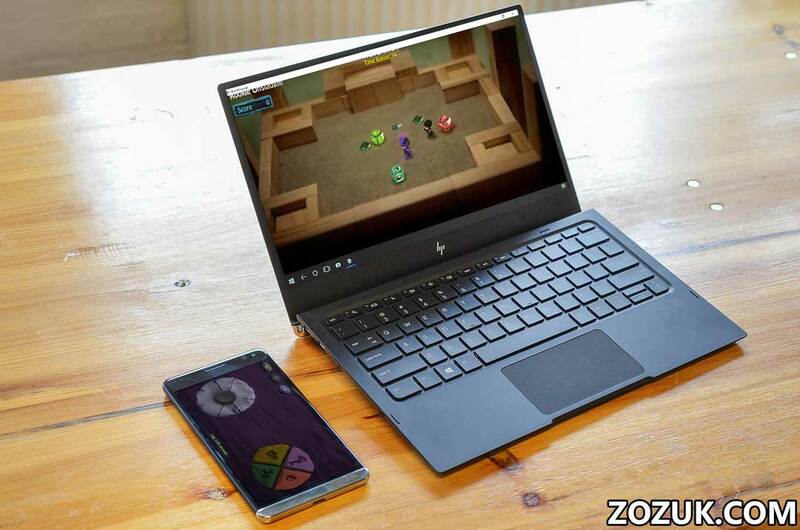 Gather all your friends and create a LAN network on phone or PC and enjoy. You can also use WiFi direct to create the network. Manual – Here you can Join a party by address. Just share your IP address with your friends and open a port in your router. This works for both online and offline play. Now we will explain to you how each of these methods works. Probably the best way to enjoy BombSquad is to connect using LAN WiFi connection. Why? Because offline connections are Lag free and you don’t have to do much to set up the game network. All you need is a few friends with Android Phone or PC and BombSquad apk in each of those phones. 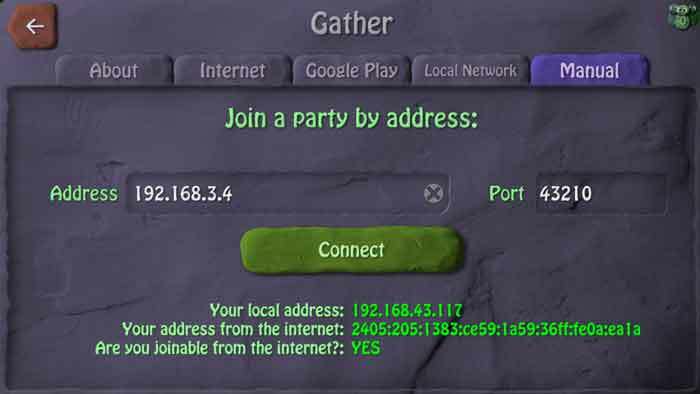 One of the players has to host the game by turning on WiFi Hotspot and others have to join the network. Make sure all devices are running on the same version of BombSSqaud or you may face compatibility and game lag issues. Follow these steps in one of the devices to create a party. Turn on your device’s portable hotspot. Ask other players to join the game. Note: For hosting the BombSquad game it is recommended that you create the hotspot from the device with maximum RAM and a better processor for smooth gaming experience. Steps for connecting to a party. Connect to host’s Wifi access point. You should be able to see a party name on the list. Tap on it to join the game. If you can find the party continue reading for another offline manual method. From here on, the host has to tap on “Play” and choose from “Single Player”,”Teams” or “Free-for-all”. In Single player mode, all the players have to compete against the CPU and in rest two you have to team up to fight against each other. Tap on the right and left side on the controller to select team. Now, you all can play deathmatches, ice hockey, punch each other right between the teeth and throw bombs on each other(try the sticky ones, those are difficult to get rid of). The manual method comes handy when you are not able to find other devices for offline play in the Local Networks section. If you have the Internet connection then it can also let you play online with distant friends. Follow the undermentioned procedure to manually host BombSquad game parties for the online/offline game. Open the BombSquad application and connect to the internet. Click on “Show my address”. Check to see if you are joinable form the internet. If yes, then share your internet address and not local address with the friend whom you want to play this game with. If the app shows “NO” besides “Are you Joinable from the internet?” then you need to forward port 43210 from your router. We will explain how to forward ports below. If you want to play offline multiplayer only then just share the local address with your friends and ask them to type it in “Address” text box. That’s it, you are done for the offline play. Continue to check the port forwarding task. “192.168.1.1”. Login by supplying the credentials. Username – admin. Under tab “Advanced Setup”, select “NAT” and go to “virtual server”. You will need to create another rule. Tap on Save. Close the browser. Now you can give your public IP to your friends( the second IP under gather>Manual>Show my address) who will type this under Gather>Manual>Address text field to connect to your phone. 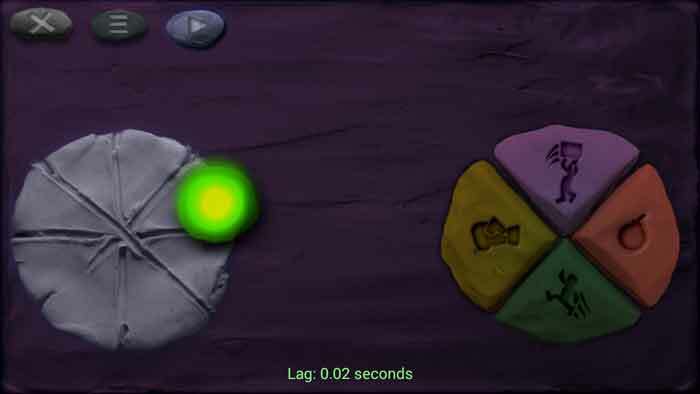 Then you could create a party by tapping the top right icon of green coloured robots. 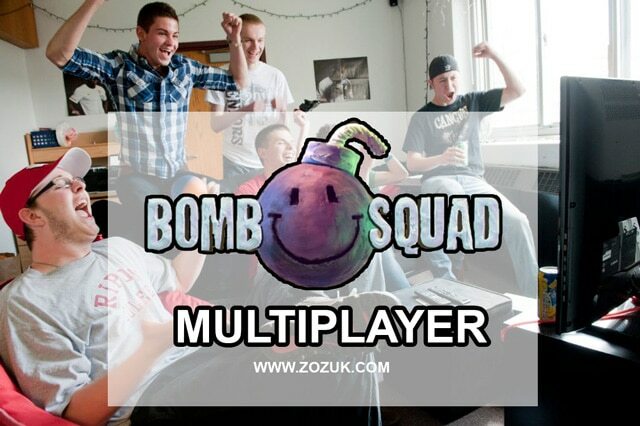 Play BombSquad via game servers over the internet, with other players around the world. There is never a time when you won’t find players to play this game against. Actually, it’s pretty hard to join a game as there are always players waiting too long for online server entry. 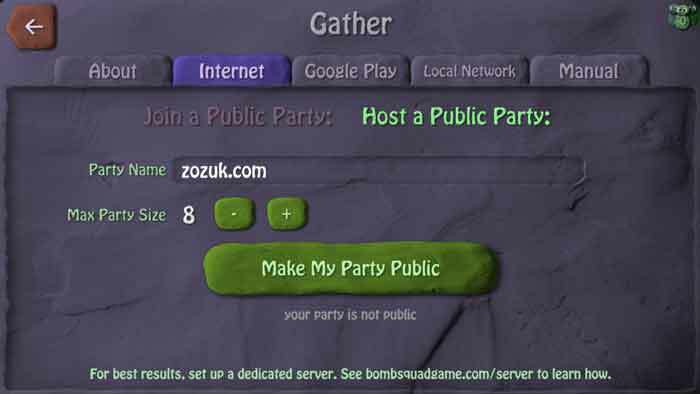 The servers run 24/7 to allow you to connect with pre-configured parties. Party play over the internet. Tap on “Join a public party”. Now choose a party name with party size less than the Max possible size. 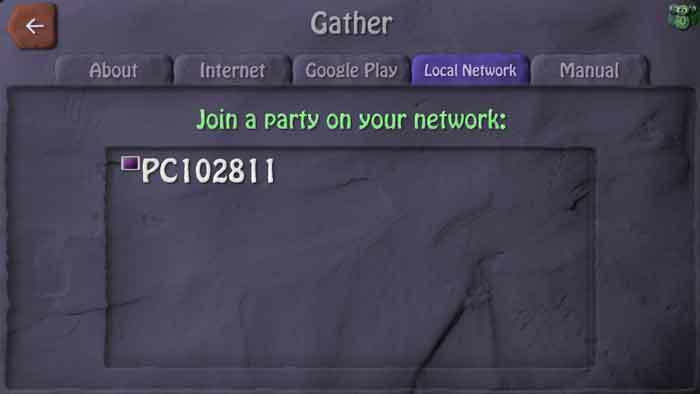 Also for lag free gaming choose a party that has lower ping drop. You might have to wait in line if there are other people trying to join the same party. Once a player leaves the party you will be joined. How to host a public party? Hosting an online party is really easy, you can use your device as the server for allowing connections to establish. But make sure you have a good internet connection with low ping drop. For best results, set up a dedicated server. In the “Gather” section select “Internet” tab. Tap on “Host a Public Party”. Give a name for your party. Decide the Max party size. Finally, tap on the button that says “Make My Party Public”. Wait for the app to show if you are joinable from the Internet. Once players start joining your party you can begin the game. Quick tip: Keep the party size small. Lesser the number of players in the game more will be your frames per seconds hence making gameplay more smooth. 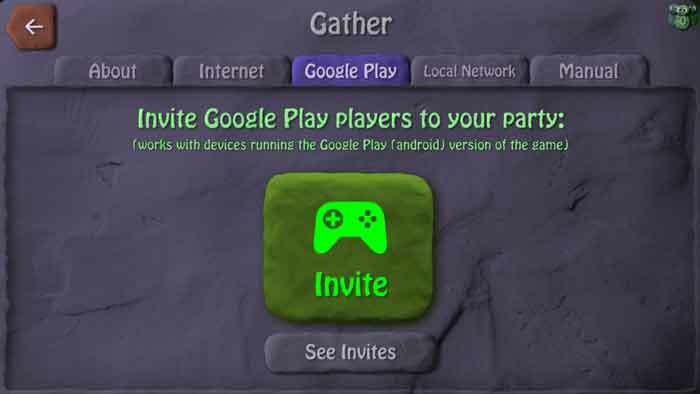 In this option, you can invite your Google Play friends or accept invitations from them. This method comes handy when you only want to play BombSquad with some friend that is away from your place and don’t want to let any other player join your game. Enter the name of the friend you want to play with or select him from the list. Ask your friend to check the “See Invites” section under the same tab and choose it. Select the type of game you want to play from the main screen and enjoy. Without the internet and when you are alone you can try the Single Player mode wherein you compete against ninjas, pirates, barbarians, insane chefs, and other bots that are controlled by the device. Putting the player against preprogrammed challenges or AI-controlled opponents (which lack the flexibility of human thought). Choose a campaign and start punching and throwing bombs. 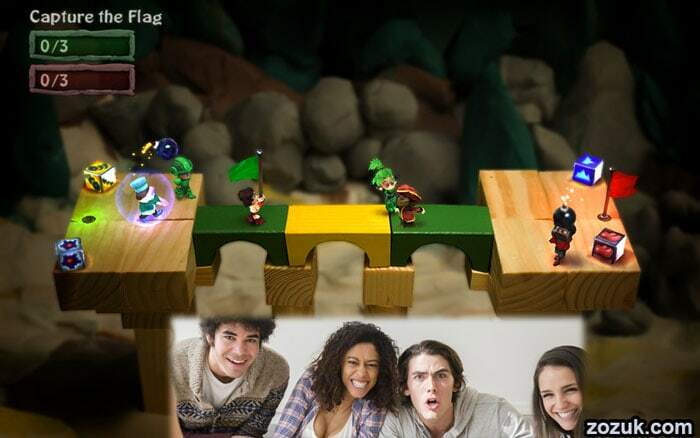 If you are connected to the internet, in the single player mode you can play in BombSquad tournaments. Each tournament has some entry charges. You have to spend your tickets to enter the tournament. If you win the tournament you get bonus tickets for free. There is also a trick through which you can enter the tournament without spending tickets. Just watch a video and you will get free entry. 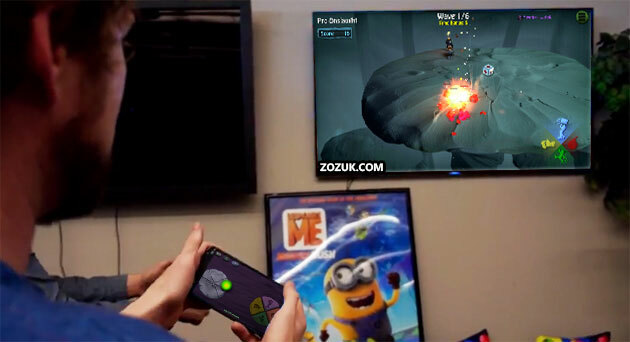 BombSquad remote app lets you use your phone or tablet as a controller for BombSquad game on your TV or PC. 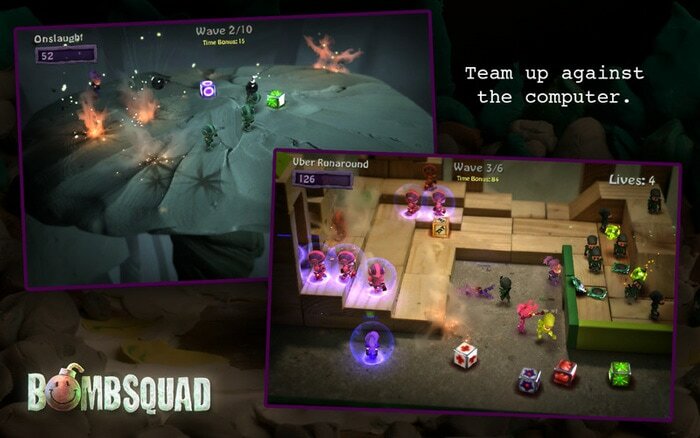 A maximum of 8 players can connect and play BombSquad at once on a single TV, tablet or PC. There is no need of a Joystick all you need to do is download BombSquad remote app from PlayStore and install it on your Android phone. The same remote app, after a few hacks, can be used for controlling other games like Mini Militia for PC. BombSquad remote app works by connecting you to your PC or TV when both the devices are on the same network. Your Android or Mac TV needs to connect to the same WiFi network that your Android phone is connected to. Once the connection is established open BombSquad remote apk and you will find your TV’s name on the list, just tap on it and you are ready to play. Let’s understand how to connect BombSquad remote. Download and install the BSRemote app from PlayStore. Connect your TV/PC and Android phone to the same Wifi network. If you don’t have a Wifi network nearby then you can create Hotspot on the phone and connect TV/PC with it. Now, run BombSquad app on TV/PC and BomSquad remote app on your phone. In the remote app, you will find the name of your TV, click on it. The TV and Phone are now connected. Note: The same procedure will work for connecting BSremote to Mac. Remember BombSquad on PC is required in addition to the remote app for setting up the connection. Watch this video of Eric connecting 24 controllers to a Mac for multiplayer gameplay. Sometimes there might be compatibility issues with the BSRemote app and your smart TV. These issues generally occur when you misconfigure the connection settings. If you closely follow the steps mentioned above you won’t find any problem in setting up BombSquad Remote app. If you are not able to connect and you think that you set up everything correctly then you may have to use the Join by address method. Open BombSquad remote app and tap on the three dots present on the top left corner. Select join by address and check your TV’s gather option for the Local IP address. Enter the IP into the remote app and it should connect you to the TV or PC whichever you are trying to establish connections with. The remote app might also not work if the connection lag is greater than 0.08 seconds. You will not experience real-time movements in the game. To keep the lag smaller remove any object placed between your WiFi router and Phone and also between WiFi router and TV. 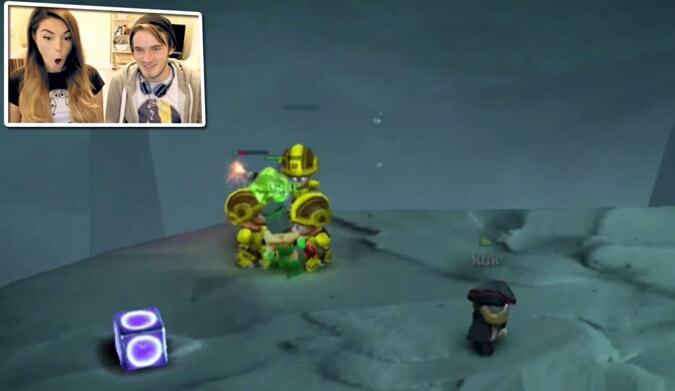 And while your Download for BombSquad app or remote is in progress, enjoy this multiplayer gameplay video from PewDiePie. Support: Facing a problem? Just write it down in the comments section below and we will come up with a solution within a few hours. Thanks, can I make my player invisible in this mod? So I can find the game from the controller through the wireless network but when i click on it, it only says connecting and doesn’t actually connect to the game. Any remedies? Probably your Wifi network does not have Port Forwarding enabled. Try creating HOTSPOT on the phone and connect your PC to it and then run the remote app. i am unable to host a public party even when i’ve already configured my router to forward UDP port to my local address.what to do now?